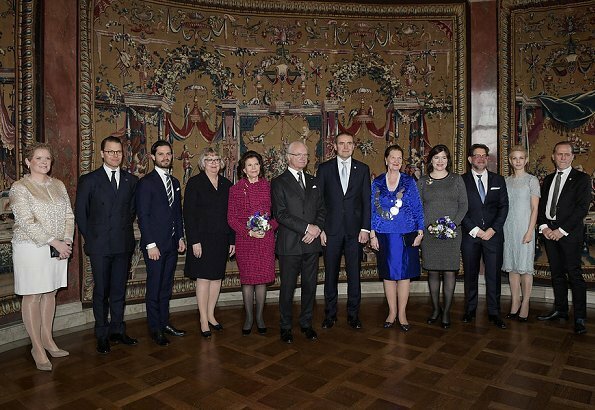 On January 18, 2018, King Carl XVI Gustaf, Queen Silvia, Prince Daniel and Prince Carl Philp of Sweden attended a lunch, held by City Council President Eva-Louise Erlandsson and Mayor Karin Wanngård given for Iceland's President Gudni Thorlacius Johannesson and First Lady Eliza Jean Reid, at Stockholm City Hall. 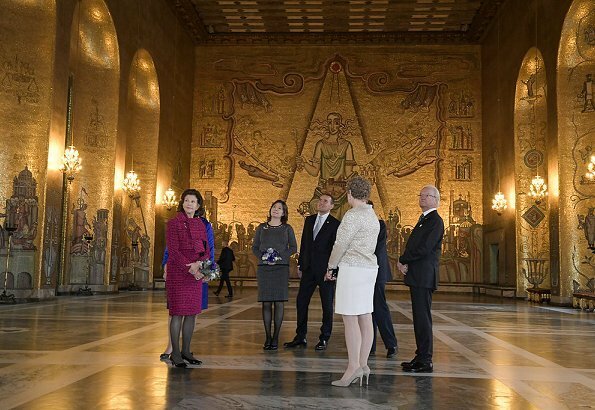 The presidential couple is in Sweden for a three-day state visit. Silvia is much better here.